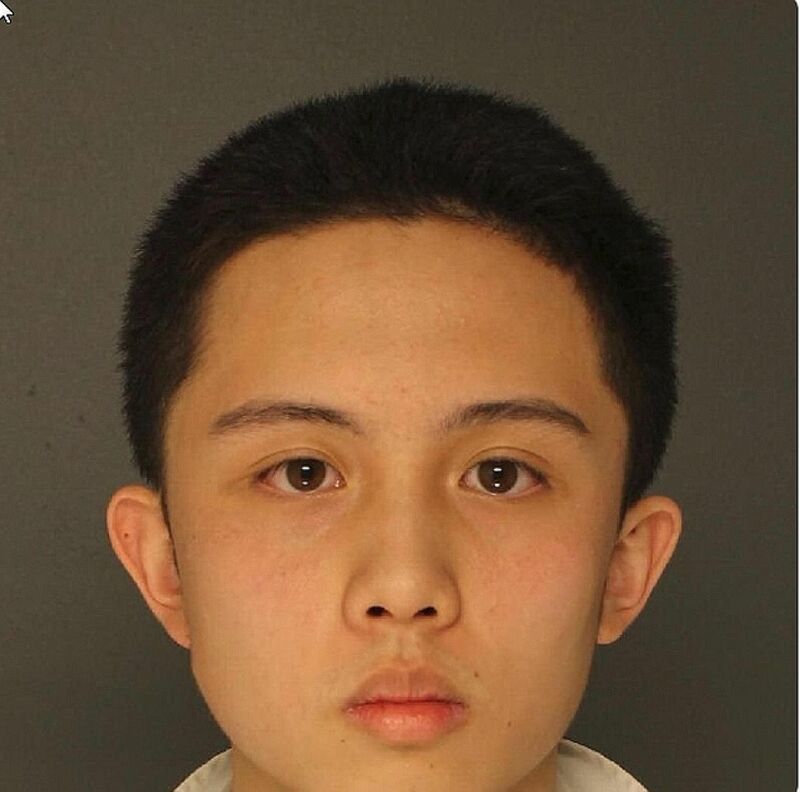 HARRISBURG (Pennsylvania) • American immigration officials were preparing on Tuesday to deport a Taiwanese exchange student who pleaded guilty to charges of threatening a mass shooting at the Catholic high school he attended in suburban Philadelphia. Edward Sun An-tso, 18, is being held in the Federal Detention Center in Philadelphia, Immigration and Customs Enforcement officials said. He is awaiting deportation to his native Taiwan, where his parents are prominent entertainers Sun Peng and Di Ying. The younger Sun is permanently barred from re-entry. "Armed with over 1,000 rounds of ammunition, he threatened a mass shooting," Delaware County District Attorney Katayoun M. Copeland said in a statement. "We believe he would have carried out if not stopped." United States District Judge Nitza Quinones Alejandro sentenced Sun on Monday to time served, approximately five months, and ordered his immediate deportation, which could take four to six weeks, according to the student's lawyer. The attorney, Mr Robert Keller, said on Tuesday that he was satisfied with the sentence. Sun earlier pleaded guilty to violating a federal law that bars aliens from purchasing ammunition. In June, he also pleaded guilty to a state charge, making terroristic threats. According to court records, Sun in March told a fellow student at Monsignor Bonner and Archbishop Prendergast High School in Upper Darby to stay away from school on May 1 because he was going to do a mass shooting. Then he added, "Just kidding", according to official documents. Just five weeks earlier, 17 people had been killed in a school shooting at Marjorie Stoneman Douglas High School in Florida, and the friend immediately reported the incident to school officials, who notified the police and Sun's host mother. She hired a lawyer for Sun, according to court documents, then went home and removed from his bedroom a 9mm semi-automatic he had assembled from parts ordered online, and 1,587 rounds of ammunition, also purchased online. She gave the bag to the lawyer. Police raided the home the same day and confiscated 20 more bullets, a suit of body armour, a crossbow, seven arrows and four extended magazines for an AR-15 rifle and Glock pistol. He is the only child of actor and producer Sun Peng, 52, and actress and opera singer Di Ying, 56. The couple met on the set of a Taiwanese TV serial in 1996 and married in 1998. They split in a high-profile divorce in 2003 but re-married each other in 2007.